Library Events Room (B.135), Palais des Nations, B Building,1st Floor. This session explores risk-taking in the UN system. How can we take more risks in our decision-making, in support of an agile workforce and organization? When we take no risks at all, nothing can be achieved. Yet, there is also a point where risks outweigh rewards, and the “risk appetite” needs to be set at various organizational levels. The UN’s regulatory framework, developed over time, has a low level of risk appetite. 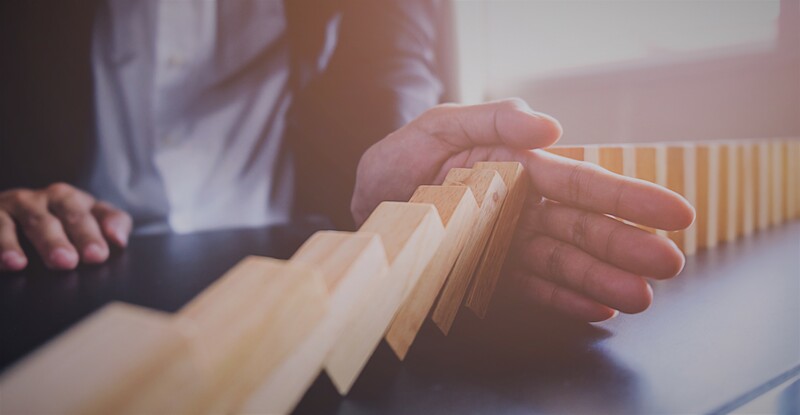 While streamlining this framework would support a more agile, risk-taking environment, this would need to be paired with a prepared workforce that can take decisions in an intelligent, informed and accountable manner. This session, led by Mr. Mika Tapio, Service Chief, UNHCR Audit Service, Internal Audit Division, Office of Internal Oversight Services, explores these ideas in encouraging brainstorming and dialogue among participants. 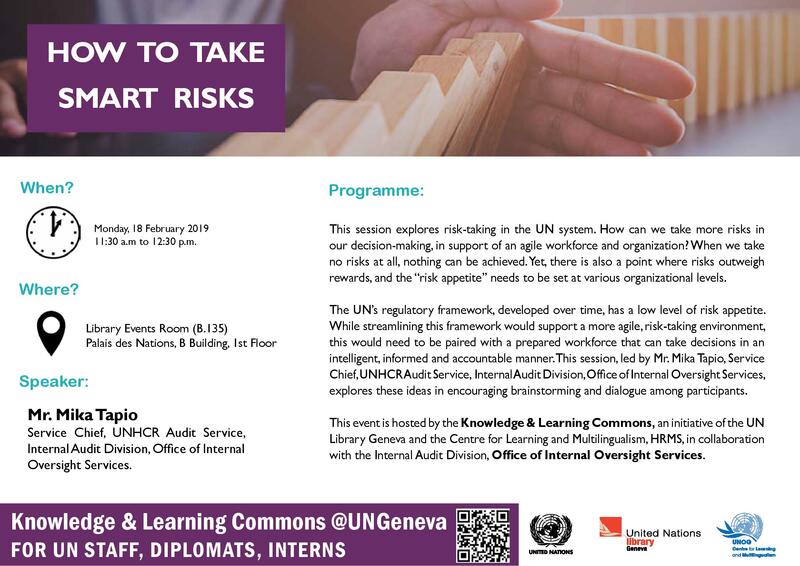 This event is hosted by the Knowledge & Learning Commons, an initiative of the UN Library Geneva and the Centre for Learning and Multilingualism, HRMS, in collaboration with the the Internal Audit Division, Office of Internal Oversight Services.